The latest LA Chargers news. Stay up-to-date on Chargers rumors. breaking news, player reports and whispered gossip from around the league. 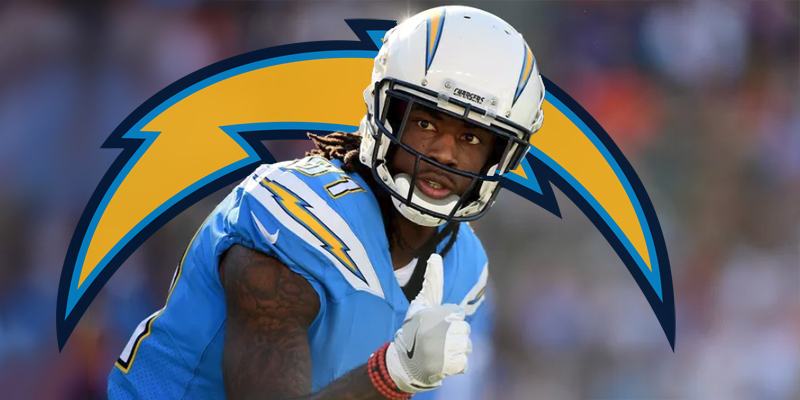 Los Angeles Chargers wideout, Mike Williams, is reportedly making plays every day in camp and “looking, and more importantly feeling¸ like his old self as he gets ready for his second season. And all that is adding up to a more confident playmaker,” according to chargers.com. Williams was one of the biggest rookie busts last season as a back injury limited him all season. Williams only saw more than two receptions once in the 10 games he played. The team still has confidence that Williams can be a big part of this offense however after selecting him 7th overall in last year’s draft. Mike Williams will be doing battle with Tyrell Williams this preseason for the official role of the teams WR2, but with a gaping hole remaining at tight end, all three Chargers receivers should be on the field often this season. There is plenty of opportunities to be had in what will likely be one of the leagues most aggressive offenses, and hope isn’t all lost yet for Mike Williams. Restoring his confidence back to the days where he put up 1,171 yards and 10 TD’s for Clemson would be a great place to start. As with most deeper depth chart options, Williams will be one to watch in preseason. He could find himself with a large role if Tyrell Williams continues to disappoint and Keenan Allen being a decent injury risk. In a brief scare today, LA Chargers Defensive End, Joey Bosa was helped off the field after hurting his left ankle. The Chargers have had awful luck this year with injuries, however, it appears that Bosa should be ok.
“He’s fine,” a source assured Schefter. Bosa will still almost certainly be held out of Saturday’s preseason opener. Consider him day to day for the time being. When Tight End Hunter Henry went down for the season with an ACL injury, the Los Angeles Chargers weren’t left with a ton of options. 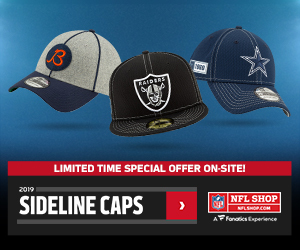 The team does have five tight ends heading into NFL training camp, although, none look like they could win the starting job outside of Virgil Green, a free agent offseason pickup. However, it now appears that Chargers GM Tom Telesco is open to the idea of reaching out to Antonio Gates about a potential comeback to the team. 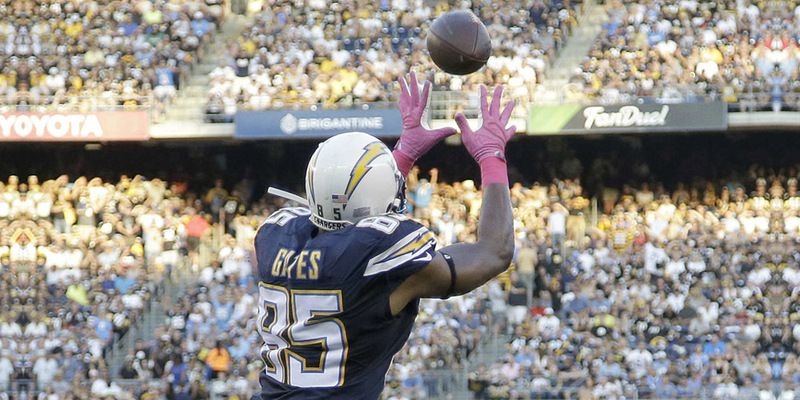 Bringing back Antonio Gates may not be that bad of an idea, as he could provide leadership for the tight end group as well as his understanding of the Chargers playbook. Gates was a mentor to a lot of the younger players on the team and had the respect of the players. Another person who would love to have Gates back is quarterback Phillip Rivers. The Duo has 73 combined touchdowns together setting an NFL record. Their chemistry of being together for so long makes it easy for Gates to slide back into that role. From a fantasy football aspect, this situation is one that I would monitor or steer clear of. I’m not expecting the Antonio Gates of old to step on the field and produce ridiculous numbers. Gates could add some value to the red zone, but he’ll be a high-risk fantasy start, even in the deepest of leagues. Hunter Henry is the tight end to own in this offense but with two severe injuries in both of his years playing it is something we as fantasy football players have to keep a close eye on going forward.